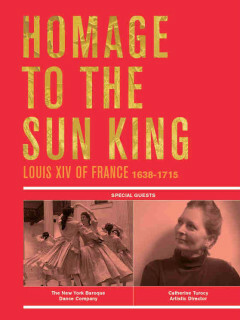 Ars Lyrica’s Homage to the Sun King comes exactly 300 years after his light finally faded in 1715. This program features Marc-Antoine Charpentier’s sparkling chamber opera Les arts florissants plus royal motets and chamber works by Jean-Baptiste Lully, Jean-Philippe Rameau and François Couperin. It’s a rare opportunity to savor French Baroque masterworks in full historical dress, with instruments and dance steps from the Ancien Régime.